I am going to write several posts about Lapland as there is so much to say about it. This one is to give some background on the trip. It’s always been my dream to go to Lapland. I am completely obsessed with Christmas and I think a part of me still believes. I had been waiting for the right time to take the kids as I wanted them all to be old enough yet all of them still believe. Xavier will be 4 in a month so possibly a bit young as they do recommend kids to be 5 but he could do all the activities and is at the perfect age for believing so I felt this was the right year for him and still think it was. 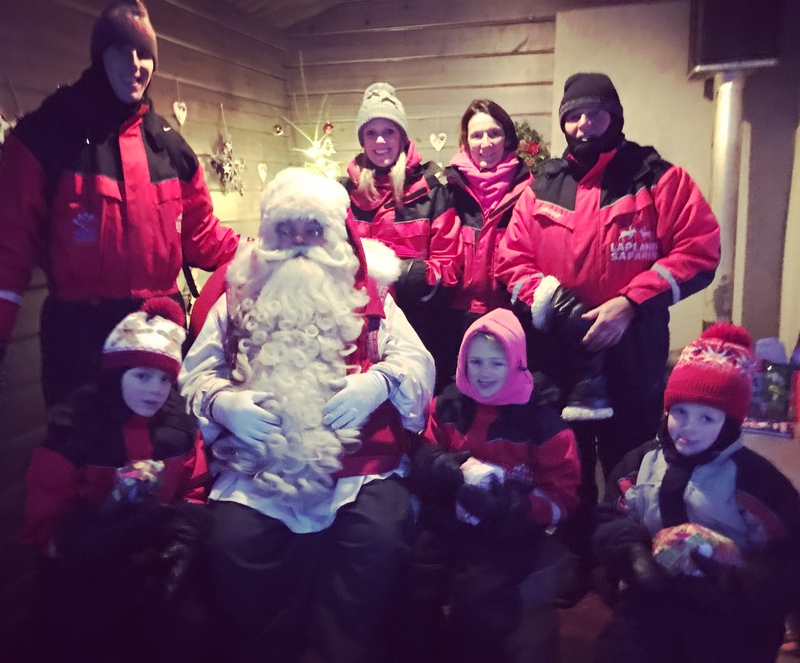 I was recommended Santa’s Lapland by a Mum from School who went in 2015. I didn’t want to just do a day trip but knew a few nights was going to be expensive. I was also after very particular dates as Steffan would only be able to go in holiday and not take a Friday or Monday off school in December. I noted in my diary that they release the dates around September for the following year, that way I might get a discount and I could guarantee the dates we wanted. We went on the 21st to 23rd December and stayed in a log cabin. This is not the cheapest way to do it at all but I really didn’t try to cut corners on this trip. My parents came with us so there were 7 of us and the lodge sleeps 8 so I had to pay a supplement so we didn’t have to share…although it would be unlikely one person would want to share with us! We did get a discount of £25 per grandparent…every little helps!!! We wanted the cabin so we had somewhere to chill out altogether rather than being in separate rooms. It was a 4 bed lodge with a sauna so plenty of space and we had a chalet host who was there to cook breakfast and dinner for us. We went for 2 nights arriving at 1pm on the first day and leaving at 10am on the 3rd so really you just have one full day of activities and so I can see why it can be done in one day. The flight was chartered with Easy Jet and it’s the best flight we have ever been on. The crew were all dressed up with tinsel, got the kids up on the microphone to tell jokes and sing songs. There was a colouring in competition, bingo and “the toilet roll game” I wish they did this on every flight as the 3 hours 20 mins flew by. When you arrive the airport is tiny and there are elves there to greet you as well as a reindeer! It all adds to the magic and the kids thought it was brilliant. They provide you with all the outer clothing…suits, gloves, socks and boots so we only had to take all the layers for underneath. We wore at least 3 layers under the artic suits and I was still a bit cold as it was -16. Breakfast and dinner were included as was lunch on the middle day so we didn’t really spend much whilst we were there. Which was a good job as it’s so expensive. I bought a Baileys hot chocolate in the igloo and it was €12! All of the activities are included in the price and so that’s why we chose this company. We didn’t want to get there then have to organise/pay for things on top. You also get an individual family visit to santa which some other companies don’t do. I was so impressed with the organisation of the main day and even though we had a few issues with the food I would definitely recommend this company as it knows exactly how to make it magical for the kids. This is the most expensive holiday we’ve ever been on…even more expensive than Disney and it was only for 2 nights. It was worth it just to see the kids faces when they saw the “real” santa. It really is a once in a lifetime experience.